Manhattan, NYC. The Holiday Season. Motorcycles. Not a bad combination. With dates shifted around, the New York show is now in mid December. 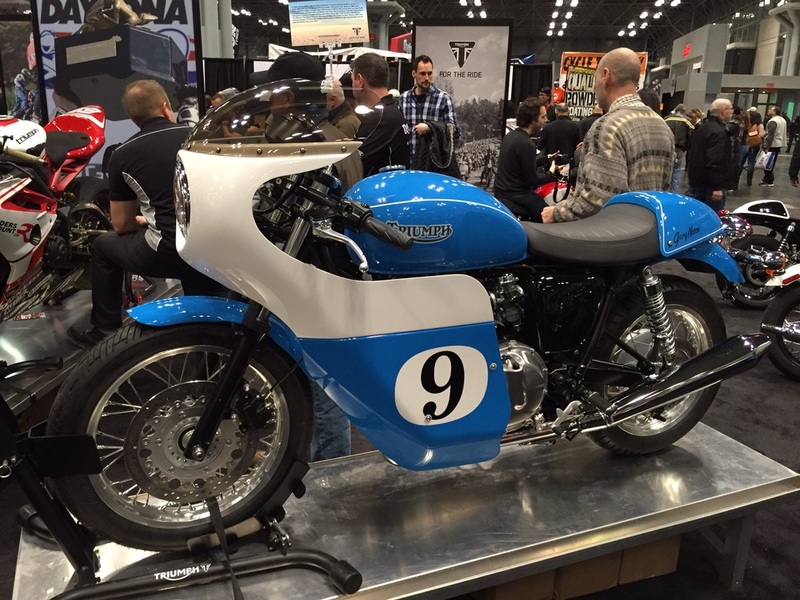 Manhattan is already a cool place to visit around the Holidays, so adding a motorcycle show makes it even better. 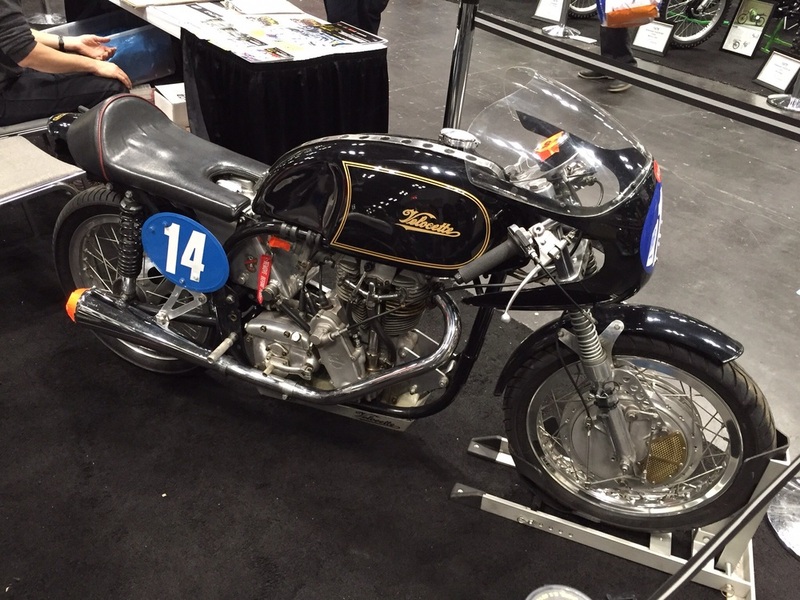 The International Motorcycle Show (IMS) is usually a welcome winter break, since vintage iron is just a small piece of it, but it is always fun to see the latest and greatest. As you might expect, the NY show has more of an urban theme. It has a stunt show, some crazy street machines, external body armor, etc. However, it also has all of the major manufacturers, and some minor ones as well. Lots of them feel that vintage and retro sell, so there was actually some interesting stuff for the crew to look at and discuss. Some of the new retro machines customized to look 60 years old actually look good. Triumph, Ducati, and BMW had nice machines on display. There were many cafe racers around as well. We finally got to see a Motus in the flesh. It is a nice looking machine with quality components. The engine is of course the star as it is half a V8. Another interesting vendor was Motopeds, who had some interesting small bore machines. Polaris brought its new Slingshot 3 wheeler. KTM had the much anticipated 390 Duke. There was the normal array of accessory vendors, and Moto clothing. The show continues to be a good way to indulge your love of things on two wheels at a time of year when riding them is more limited.